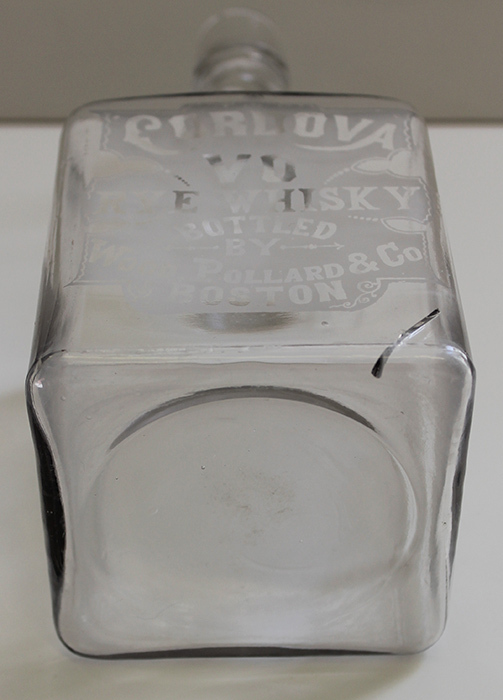 ARTIFACT: Great 1880s  1890s Cordova Rye Whiskey bar back bottle. 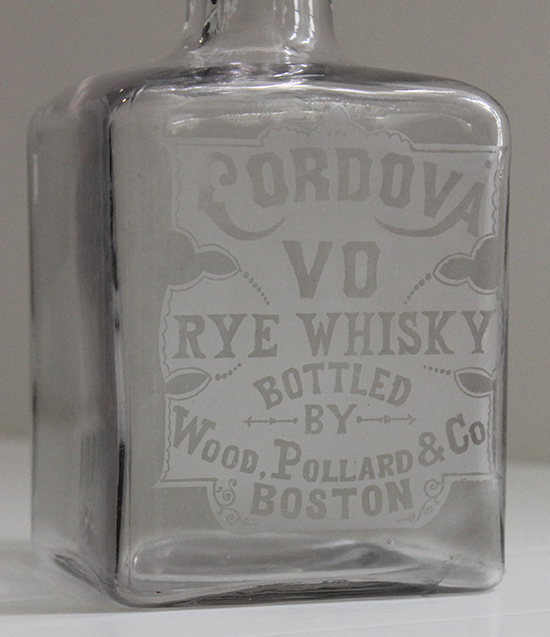 The acid etched label reads: CORDOVA VO RYE WHISKEY BOTTLED BY WOOD, POLLARD & CO. BOSTON. 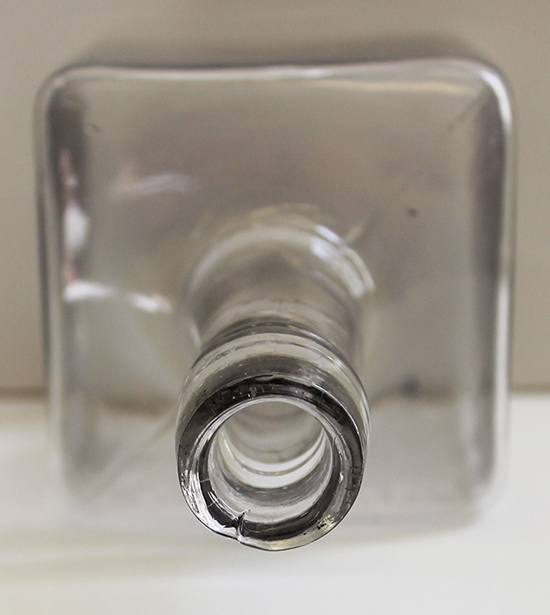 CONDITION: 7- (Very Fine-): The bar back bottle shows moderate wear and a crack in the bottom corner (viewers right) that does not detract, overall very fine condition.